Press Secretariat - At least two Australian farms with Samoan Seasonal Workers on their payroll have assured that they want to hire more Samoans. The temporary jobs are covered by the government of Australia’s Seasonal Workers Programme (S.W.P. ); an identical programme to the New Zealand Recognised Seasonal Workers (R.S.E.). 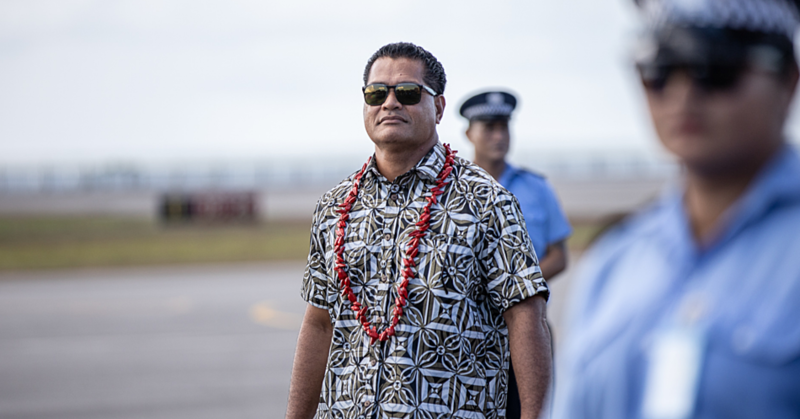 The reassurance was echoed in Down Under this month during a Ministerial visit by Samoa’s Minister of Commerce, Industry and Labour, Lautafi Fio Selafi Purcell. The Minister following a week of meetings in Canberra with Australia’s Minister for Trade, Tourism and Investment as well as a call to Australia’s Foreign Affairs Minister Julie Bishop visited two farms certified under the S.W.P. 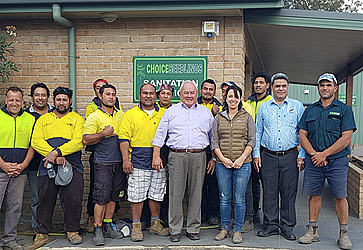 There are 26 Samoan workers employed by the two farms in New South Wales. “Providing new jobs for our people is a must and remains a government priority. 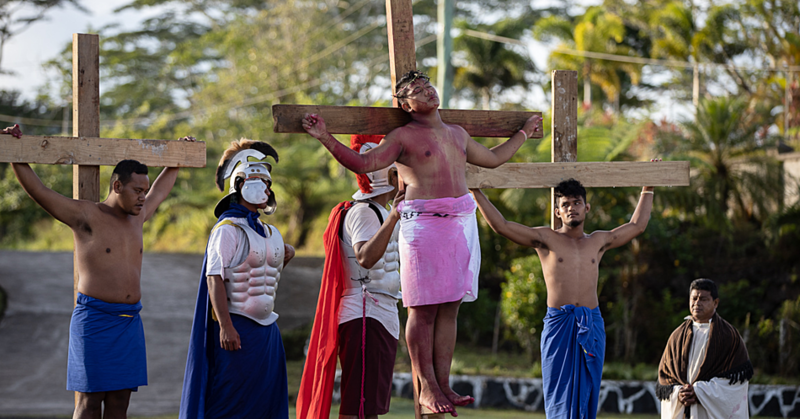 “I have been informed that for this year just shy of 400 Samoans are presently employed in Australia by two approved Employers under the S.W.P. “In my meetings throughout the week, it was realised that there is a growing interest from employers for Samoan workers. “And the assurances from our Australian employers are leverage for our R.S.E. Unit, under M.C.I.L’s umbrella to negotiate with to hire more Samoans,’ says the Minister. Currently the Government of Australia is finalising details to what is part of its step up assistance to the Pacific which includes a new seasonal workers pilot called the Pacific Labour Scheme (P.L.S.). The new pilot is being trialled with three smaller Pacific neighbours and Samoa has indicated strongly that she is ready to mobilize workers from its work ready pool in Samoa. The new scheme will look at low and semi-skilled employment and visas up to 3 years in more sectors outside of agriculture and farms under S.W.P. like hospitality, aged care giving and others. And unlike New Zealand’s R.S.E, there is no quota restricting the number of workers from the Pacific including Samoa eligible for S.W.P. “We are the only government providing support services through our pre-screening process of applicants. And we have fine tune a pre-departure orientation program to prepare workers bound for Australia and New Zealand. “Other Pacific countries recruitment are handled by independent or private agents. “From our pre-screening, we have a ready to work pool picked from our best applicants to assist employers from New Zealand or Australia during their face to face interview here in Apia with the applicants for final selection. And one important component is getting the Village Councils (Pulega a Alii ma Faipule) on board to sign Memorandum of Understandings as stakeholders. This gives the villages a sense of ownership in the partnership and serves as guardians for their village members to obey the seasonal workers policies. Otherwise, they may be blacklisted from the program. Aside from the recruitment, he added that there is also the re-integration phase. 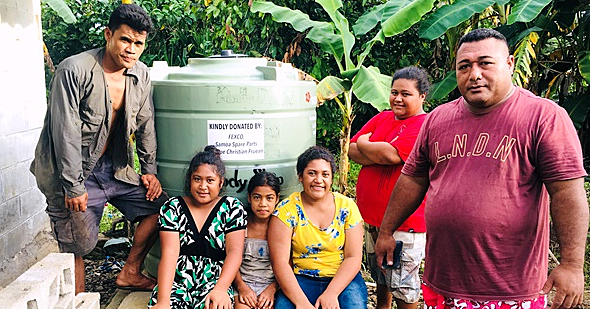 And the SEU is working with the Development Bank of Samoa and the Small Business Enterprise Centre as stakeholders to implement an incentive package for RSE workers to return home to find access for financing to start a small family business. “The re-integration strategy’s target is to encourage workers to use the skills and experience from their deployment overseas to start a small business or subsistence farming as a sustainable income source,” added the Minister. “Our RSE workers are also encouraged to have their Samoa National Provident Fund contributions deducted automatically from New Zealand,” he continued. “This is their insurance to the benefits available from the SNPF which includes a $5,000 tala death benefit not to mention access to the Fund’s other loan incentives. For this year’s picking season, over 2,000 Samoans are working in New Zealand and Australian farms. That’s an astronomical increased compared to just over 600 workers when Samoa was inducted into the New Zealand RSE family in 2007.